In this article I suggest you find a pro trick to peel a lot of potatoes in a record time . 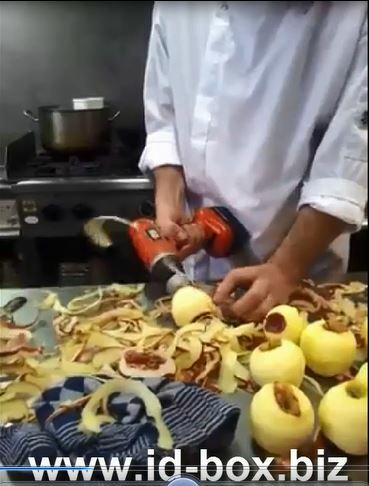 With this very clever thing you can peel 10 apples in less than 30 seconds. You want a good apple pie or « tarteTatin »homemade ? On a good applesauce ? Or any other grandmother’s recipe requiring apples? ID -Box has a solution to save you quite a time with this handy trick chef! To redo this trick you simply need a screwdriver / electric or unscrewing a drill and a peeler (manual peeler ) . 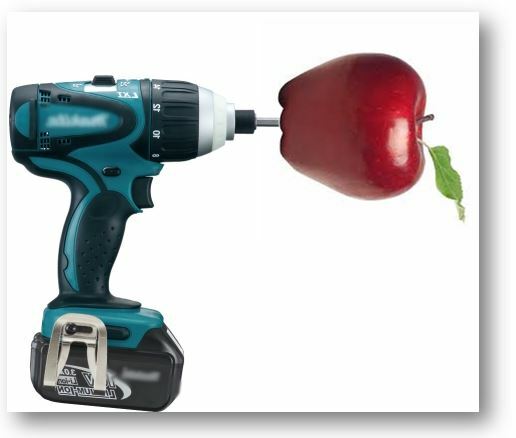 Place the needle of the screwdriver or drill in line with the top of the apple, the side opposite the stem as in the photo below. 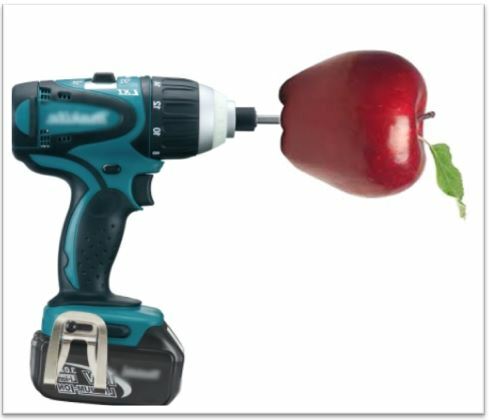 Then plant the apple at this level with the drill on. You just have to make the drill or screwdriver turn. 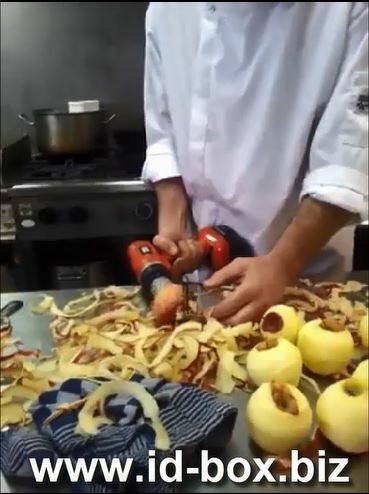 Amazing : Apple peels at record speed ! How do you find this tip of the head ? Tell us please comment.